The holiday season is upon us! 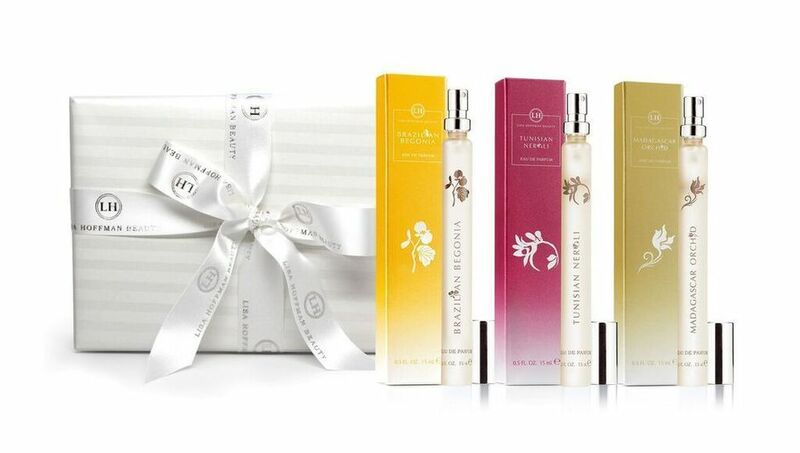 Give the gift of fragrance with the incredible Scent Trios from Lisa Hoffman Beauty. Each trio includes three travel sized versions of Lisa's award winning fragrances. Featuring complimentary scents, the Scent Trios allow you to explore the world of Lisa Hoffman to find your new signature scent. Available in two unique gift sets ($49 each), the trios are the perfect gift for the fragrance lover in your life. The complimentary scents can be worn alone or layered for a more complex, unique fragrance. Choose your fragrance adventure with the refreshing scents of the Serenity Trio or the sultry, exotic scents of the Floral Trio. These holiday fragrance trios offer a unique set of Lisa Hoffman Beauty's signature scents. Beautifully gifted, each fragrance is designed to envelop you in a scent experience that invites feelings of joy and happiness this holiday season. Wear each one alone or layer them to create your own signature fragrance. 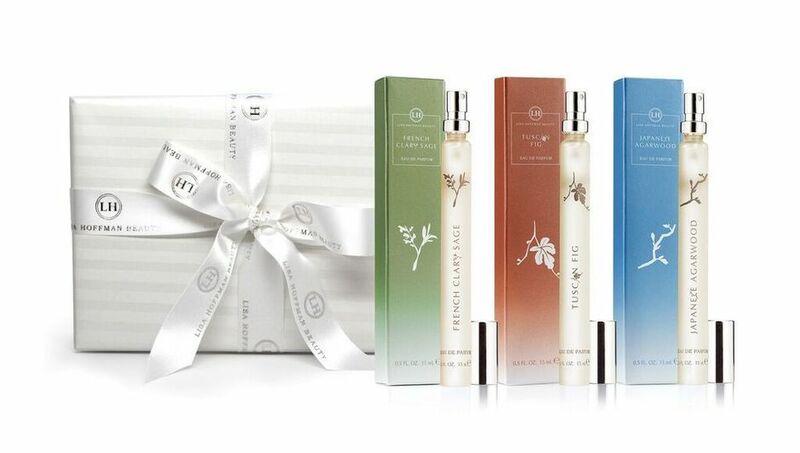 Each trio is beautifully packaged in a white gift box, signature wrapping paper and ribbon. 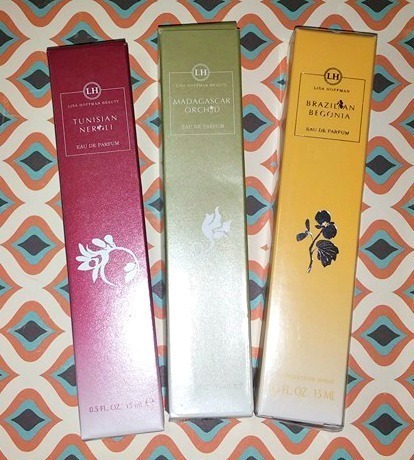 I received samples of the beautiful floral trio to review. I am crazy about floral fragrances! I love how these are perfumes in bottles that can be sprayed on. My favorite fragrance is the lovely Madagascar Orchid. It reminds me of Hawaii. I love it! Disclaimer: I received samples to review. All opinions are mine.